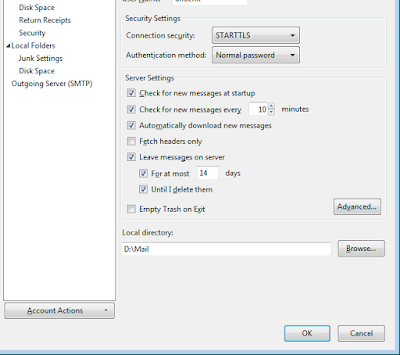 What you have to do is to move the main mail folder and the local folders to the new machine. 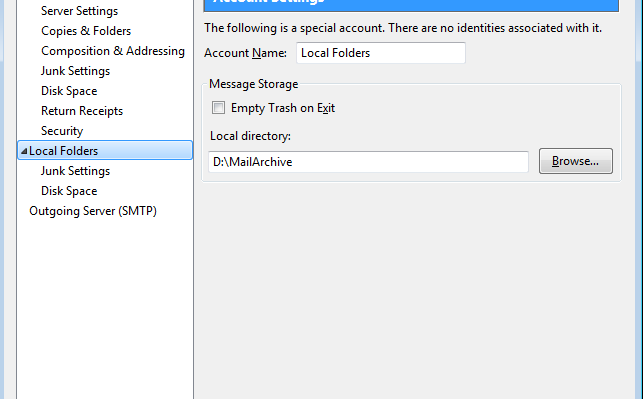 In my case, the main mail folder was D:\Mail and the local folders was D:\MailArchive\. Here's the steps. 1. After installing Thunderbird, create new account. 2. 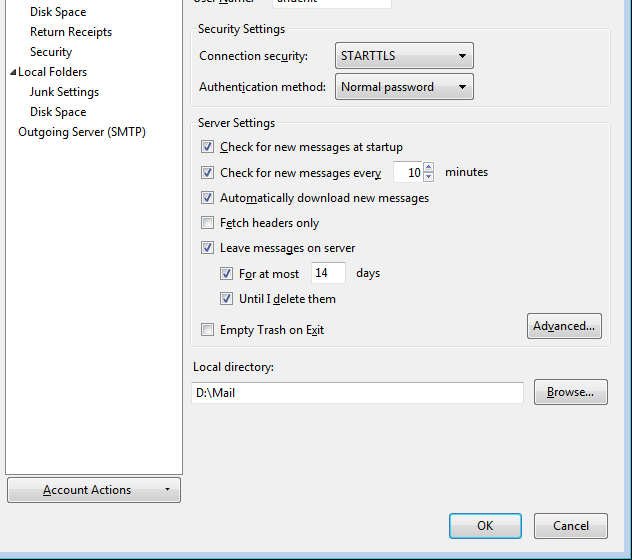 Go to Tools/Account Settings/Server Settings and change the local directory to D:\Mail. This is where your incoming mail will be stored. 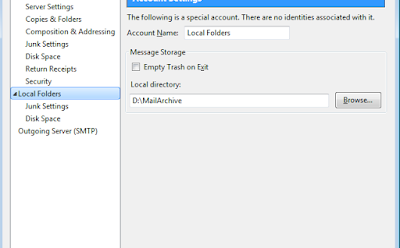 You will also get the existing mails and structures from the folder D:\Mail that you copied over. Nothing lost. 3. Then change the directory for the local foders. 4. The location of Address Book is fixed to C:\Users\\AppData\..Profile...\. You have to manually copy it over. There are 2 files, abook.mab and history.mab. You can change the .js script but it's too troublesome I think. That's it. All mails including folders structure are smoothly migrated. This is why I love Thunderbird.